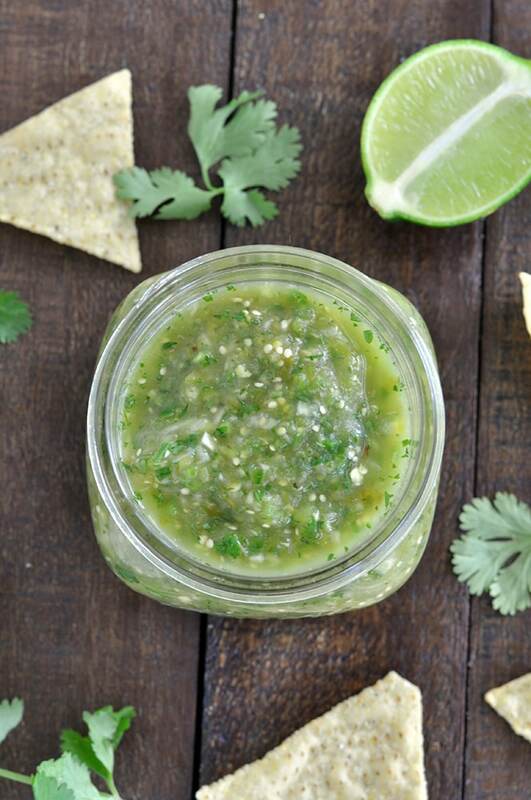 This salsa verde is naturally vegan, gluten free and paleo approved. 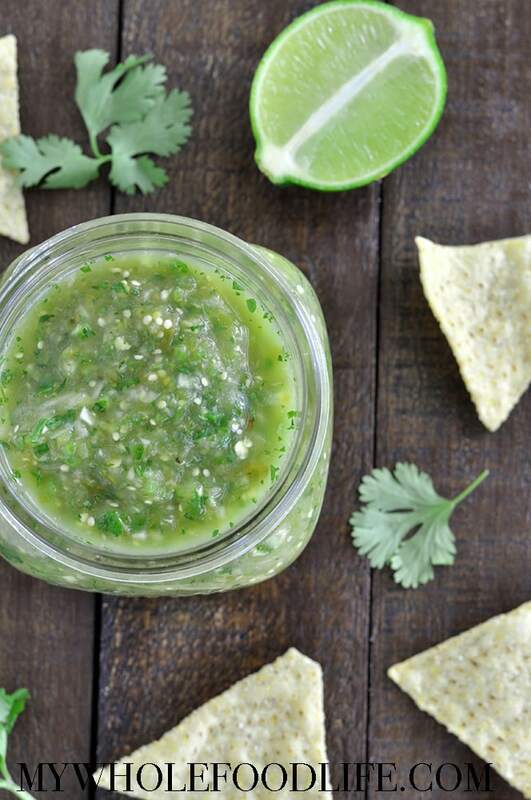 This fresh and healthy salsa verde recipe is a must make for summer. Vegan, gluten free and paleo. Makes a great dip or marinade! Peel and core the tomatillos and place on a lined baking sheet . Brush with oil and then roast for 20 minutes. Let cool slightly. In a food processor , add all the ingredients and blend until mostly smooth. A few chunks are okay. Serve immediately or refrigerate for later. You can use it as a dip or marinade. This should keep in the fridge for at least a week. Enjoy!